I know, I’m being ridiculous, I’m only 23 years old. The best years are yet to come, right? That’s what people keep saying so I’m gonna hold on to that. 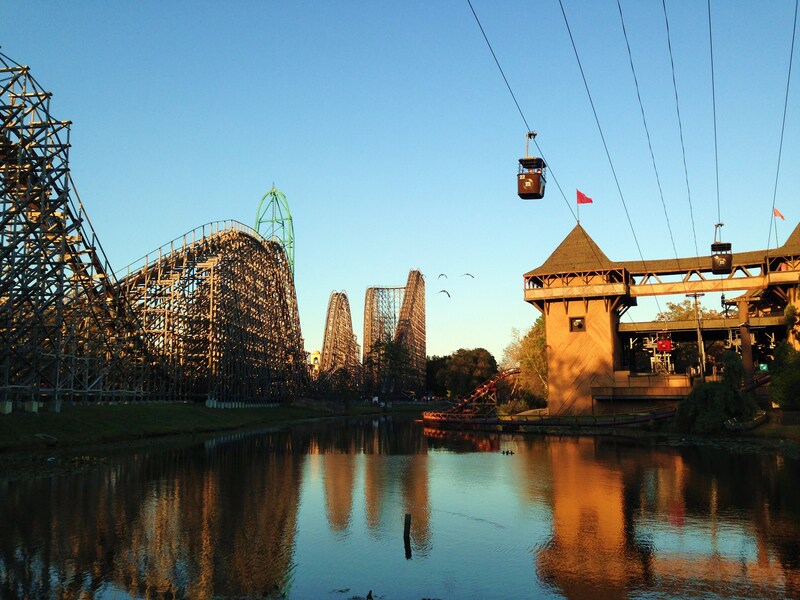 Last weekend I visited Six Flags Great Adventure and after about five years, I got back on a roller coaster. Maybe it was that the first roller coaster I chose was a little weird since you had to stand throughout the ride or maybe it was that I’m getting old… but it was NOT pleasant. I kept feeling pain in my back, I was anxious and I thought I was going to die. I kept making up scenarios on my head of my safety bar being released and me jetting out to the sky and landing flat on my face. Not that I was this fearless little girl before, by no means. You are talking to the girl that used to be scared of electrical stairs, believe me there’s a story behind it, I had my reasons. But at least before I would think less of the consequences and focus more on the thrill of the ride. Now, if you are worrying about me thinking that this poor young lady threw away her money at Six Flags, don’t you worry child, I had a blast. I made a little mantra telling myself that it was going to be alright, that if everyone else was doing it, why couldn’t I? I also released all of my worries and enjoyed the ride for what it was… a thrill. I think riding roller coasters should be a form of therapy. You can scream without being judged (well, at least that’s what I want to believe), you can let go and enjoy the thrill without worrying about anything else because for that short period of time, you are suspended into the air, part of a wave and you don’t need to control anything… you can be free. Sounds amazing and liberating right? It is, until you get out and see your picture on the screen and notice you looked more like a frightful chicken than a human being. I kept laughing through your whole post :)) I love your style of writing 🙂 Made me want to follow you! Thank you for reading! I LOVED Nitro, it was the last one I rode and it was already dark out so I felt like I was catapulting into the stars.